Wolong National Nature Reserve (wò lóng zì rán bǎo hù qū 卧龙自然保护区) is a protected area located in Wenchuan County (wèn chuān xiàn 汶川县), Sichuan Province (sì chuān shěng 四川省). The Reserve is 52 kilometers long from east to west, and 62 kilometers wide from south to north, covering an area of about 700,000 hectares. 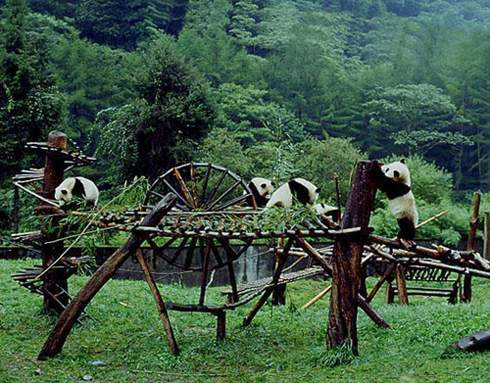 Established in 1963, the Reserve joined the International Man and Biosphere Reserve Network of UNESCO in 1980, and its main targets for protection are forest ecosystem and precious animals like giant pandas. Jianmen Pass (jiàn mén guān 剑门关) is located in Jiange County (jiàn gé xiàn 剑阁县), Guangyuan City (guǎng yuán shì 广元市) of Sichuan Province (sì chuān shěng 四川省). It is on the middle part of the Dajian Mountain (dà jiàn shān 大剑山). On both side of the pass, there are the escarpments erecting high to the sky. 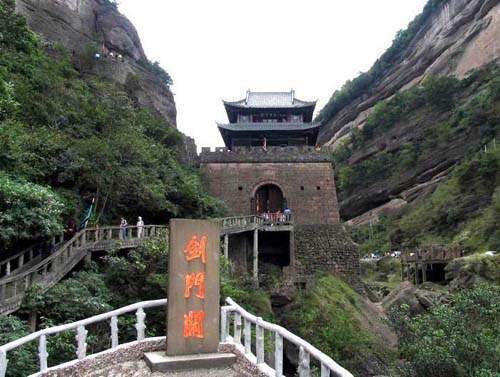 Dangerous cliffs make it like a gate, hence the name of Jianmen (jiàn mén 剑门). It is crowned as the No. 1 Pass in China. Taoping Qiang Village (táo píng qiāng zhài 桃坪羌寨) is located in Li County (lǐ xiàn 理县), Aba Prefecture (ā bà zhōu 阿坝州) of Sichuan Province (sì chuān shěng 四川省). It is regarded as the Mysterious Oriental Castle for its unique architecture and the complicated roads and paths. 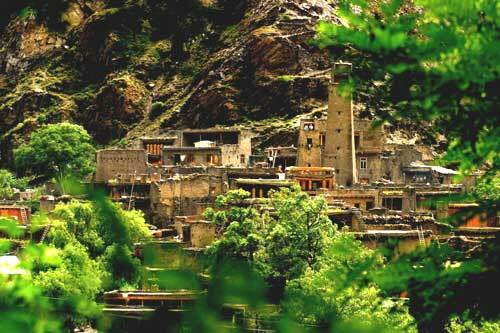 With a long history of more than 2000 years, the village still keeps the original flavour. Longquan Lake (lóng quán hú 龙泉湖) is located in the Longquan Mountain (lóng quán shān 龙泉山) on the west Jianyang City (jiǎn yáng shì 简阳市) of Sichuan Province (sì chuān shěng 四川省). 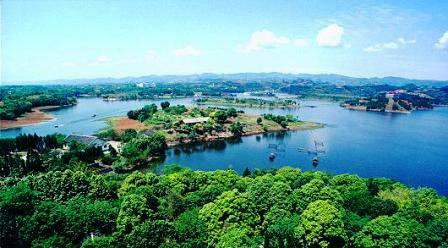 The scenic area is centered around the Shipan Reservoir (shí pán shuǐ kù 石盘水库) and a small island, including the Shijing Temple (shí jīng sì 石经寺), covering an area of more than 51 square kilometers. 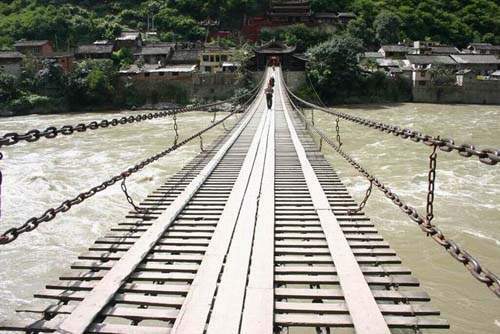 Luding Bridge (lú dìng qiáo 泸定桥) is located in Ganzi Zang Autonomous Prefecture (gān zī cáng zú zì zhì zhōu 甘孜藏族自治州) of Sichuan Province (sì chuān shěng 四川省). It was originally built in 1705 during the Reign of Emperor Kangxi (kāng xī dì 康熙帝) in Qing Dynasty (qīng cháo 清朝), and completed in 1706. It became famous after the Long March (cháng zhēng 长征).